Want to avoid standing in a cold huddle with your friends in a long taxi queue after all the fun and frolics of your Christmas party this year? 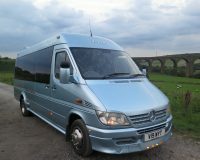 Book your Bradford Xmas party transport with West Yorkshire Mini Coaches party pick service. 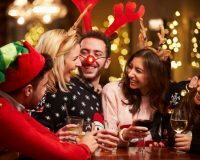 When you book your Christmas party minibus transport with West Yorkshire Mini Coaches, you can enjoy yourself knowing we’ll be with you at the agreed time to take you and your party home in comfort and safety. West Yorkshire Mini Coaches are a Bradford mini coach provider and we are now taking minibus transport bookings for Christmas. Don’t lose your fizz and be left out in the cold after the party’s ended, with West Yorkshire Mini Coach, your pre-booked Christmas mini bus transport service will transport you home without you having to stand on those tired dancing feet, queuing in the cold at the taxi rank. Contact the friendly professional team at West Yorkshire Mini Coaches in Bradford to arrange your Christmas party minibus transport. 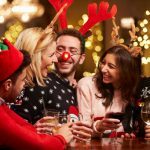 Pre-book your pick up Keighley, Bradford, Bingley, Batley, Skipton, Harrogate, Leeds and beyond to other West Yorkshire Christmas party destinations . We’re ready to get you home safely after your Christmas celebrations. Pre-booking your minibus transport with West Yorkshire Mini Coaches means one less headache this festive season!